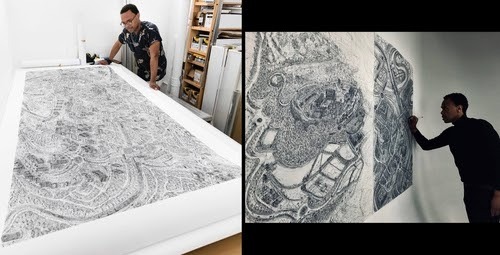 Very large drawings, super detailed and a bird's eye view, of our lives. 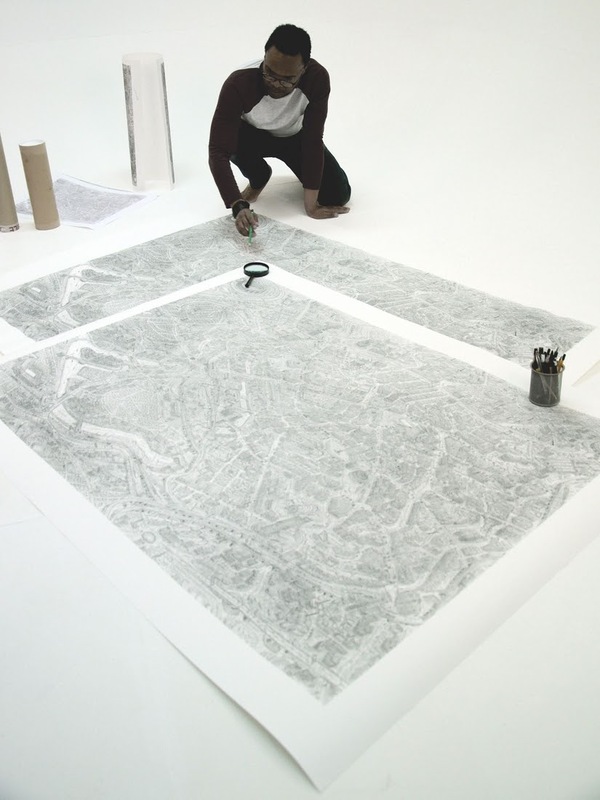 Carl Lavia, aka Sketch, is a self-taught artist based in London. 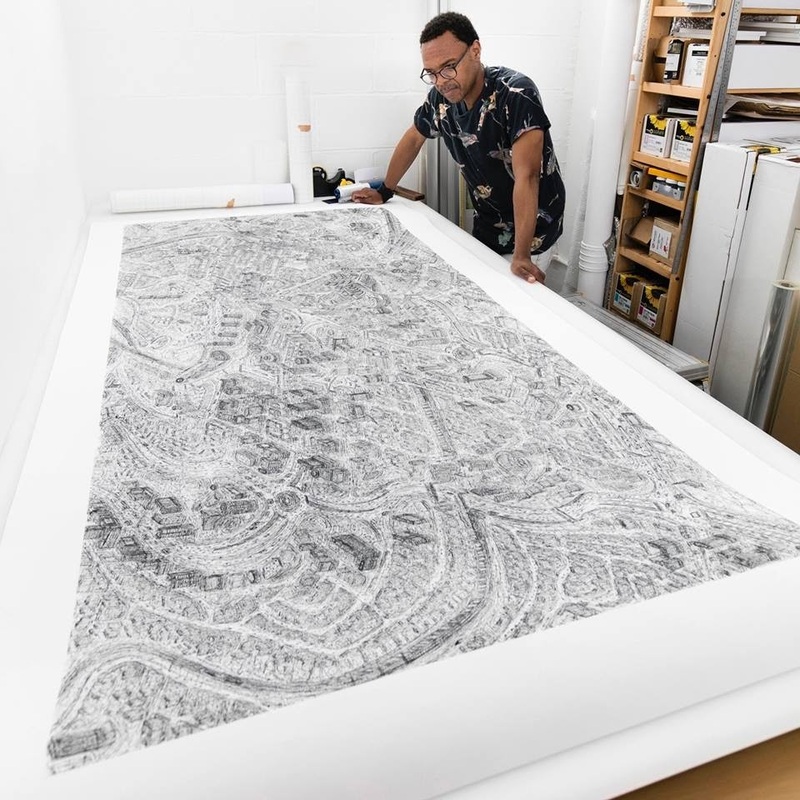 He has been drawing since he was a child and has now embarked with, photographer Lorna Le Bredonchel, on a project to produce large drawings of 69 cities in the UK, with their distinct architectural layouts. The following is a description of the process, taken from the artist's site. 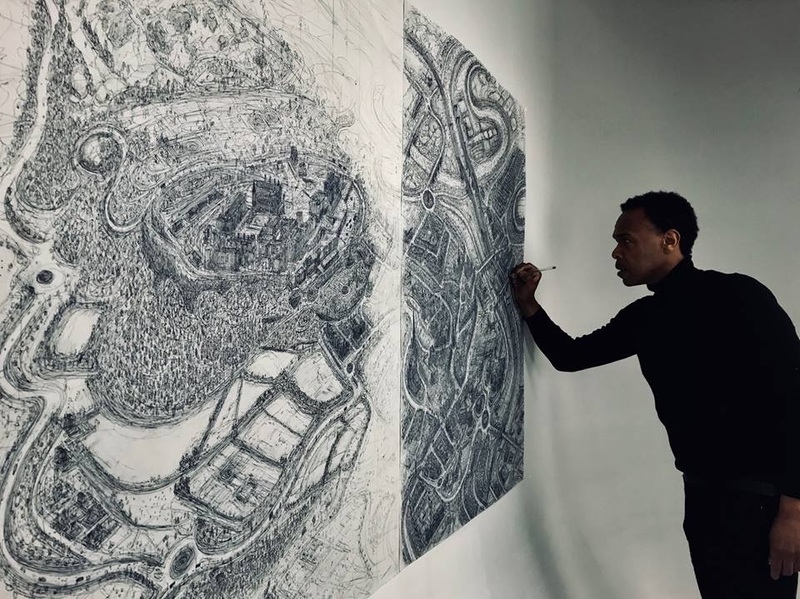 "During their epic road trip, Carl is sketching in large scale every single city within the UK, alongside Lorna who is documenting the entire process. 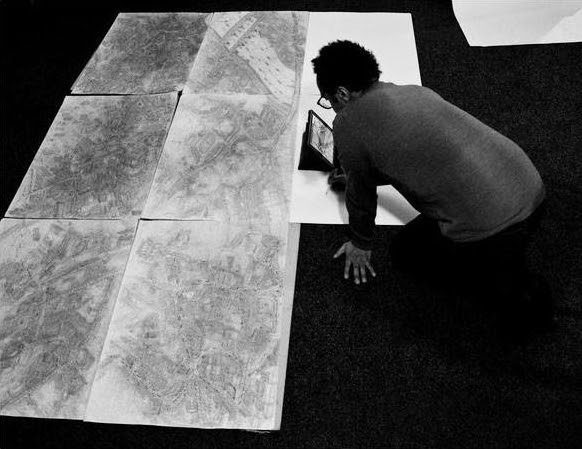 Each artwork takes a month to 3 months create, during which time they explore the city by foot, Carl making sketches and Lorna undertaking planning, research and taking photographs. 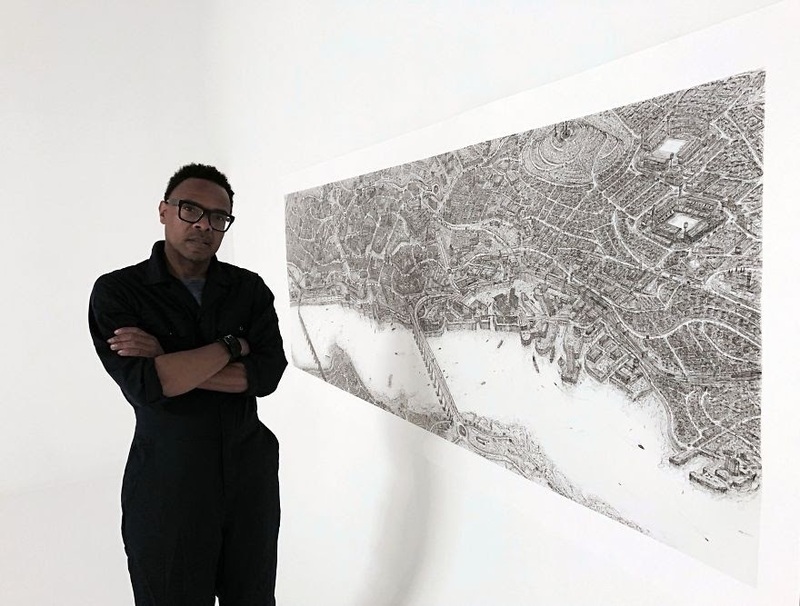 The cityscape is then created, using the small sketches and photographic fragments, using only black and white, pen on paper, to capture simultaneously the intricate details and vast expanse of the urban environment."